It’s always exciting to receive a delivery from Calyx Flowers! We’ve compiled a tutorial to share the best ways to care for and maintain an arrangement, featuring our Director of Operations, Gail, and our Fireside Brilliance Bouquet. 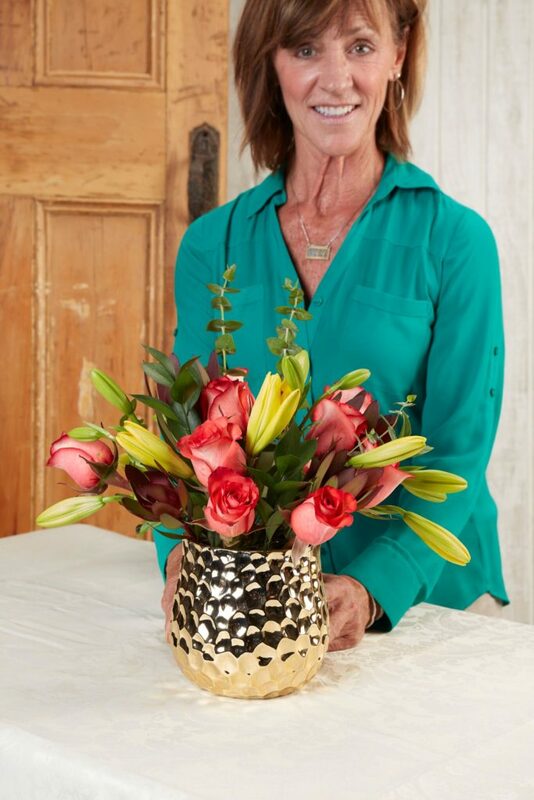 With its magnificent vase and stems in various lengths, the Fireside Brilliance Bouquet is perfect for demonstrating our basic care steps and pro-tips to keep bouquets looking their best. 1. 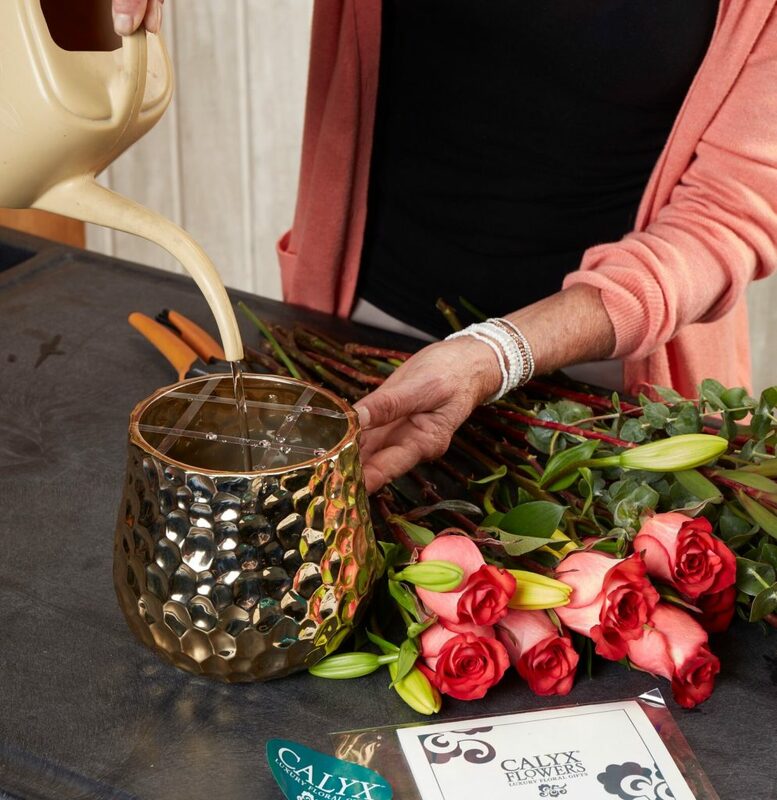 Every Calyx Flowers bouquet is picked and packed with care! 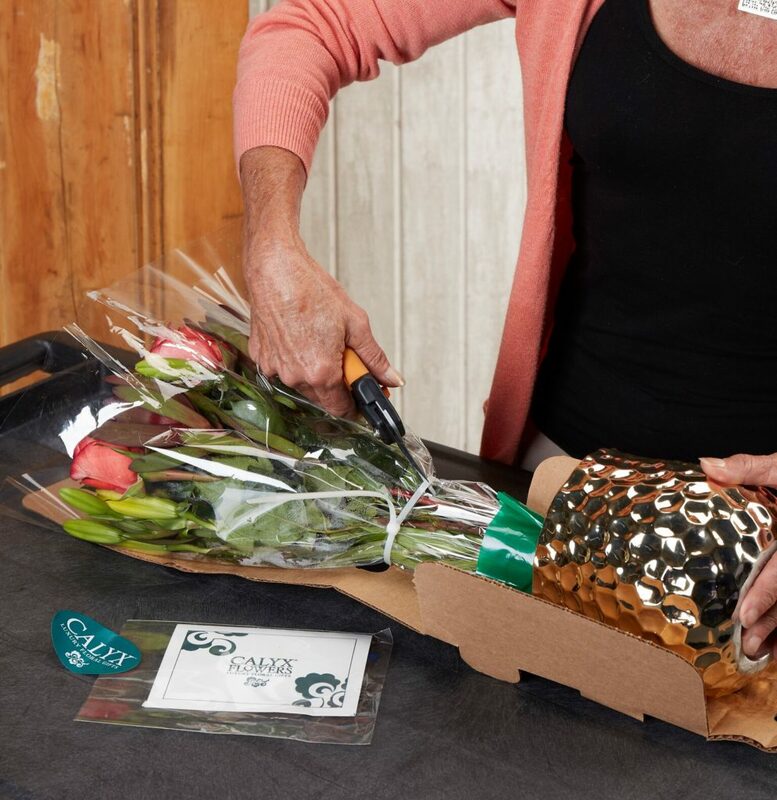 Carefully open your delivery from Calyx Flowers using sharp scissors, making sure to not puncture the contents. 2. Remove cellophane, wrapping, or any attached floral foam while protecting flowers with the use of garden shears or sharp scissors. 3. Fill a vase or container with warm water and flower food. Use warm water, as cold or hot water can shock the flower. 4. Our bouquets are created with vases of all sizes, so don’t worry if stems seem long. 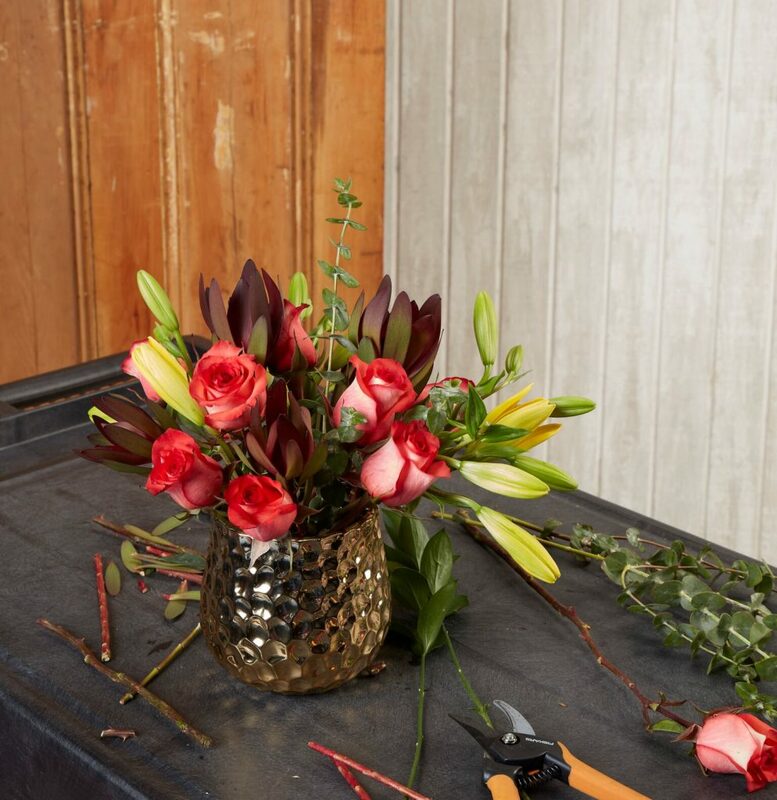 Trim stems to fit your vase. Remember, you can always go shorter, so snip with care! Always cut stems diagonally under water and use garden shears or sharp scissors to cut flowers to keep the stem and water channels open. 5. Arrange stems to your liking. 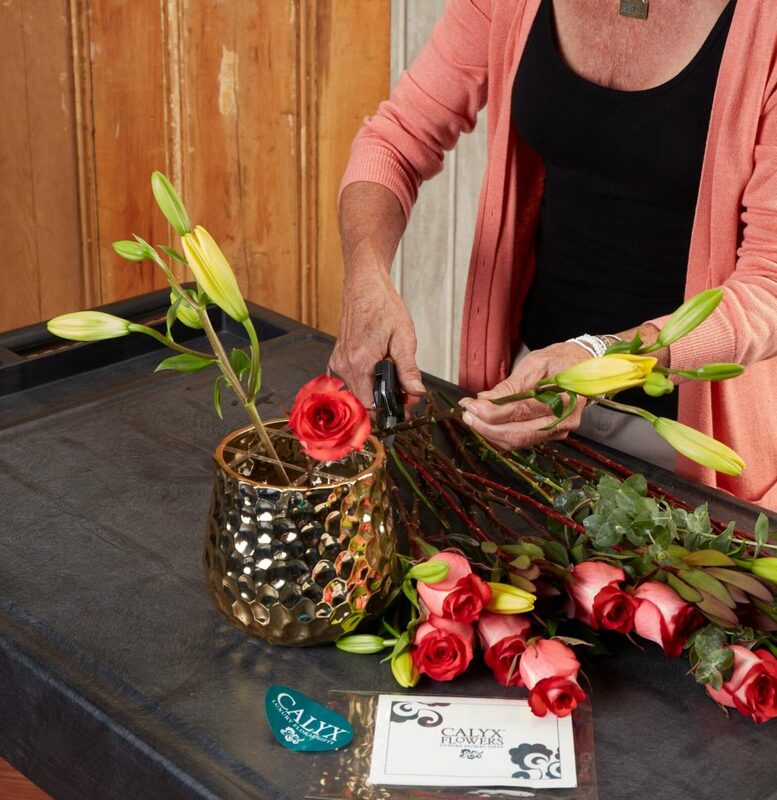 A great styling tip is to create a grid of tape over the mouth of the vase before inserting stems so heavier flowers are supported. 6. Keep flowers away from extreme temperatures, drafts and out of direct light in a place with good air circulation. 7. Add fresh water daily, and re-cut stems every other day. To extend the life of your bouquet, trim away or discard spent blossoms as your bouquet ages to allow the flowers to channel their energy correctly and rearrange if necessary. 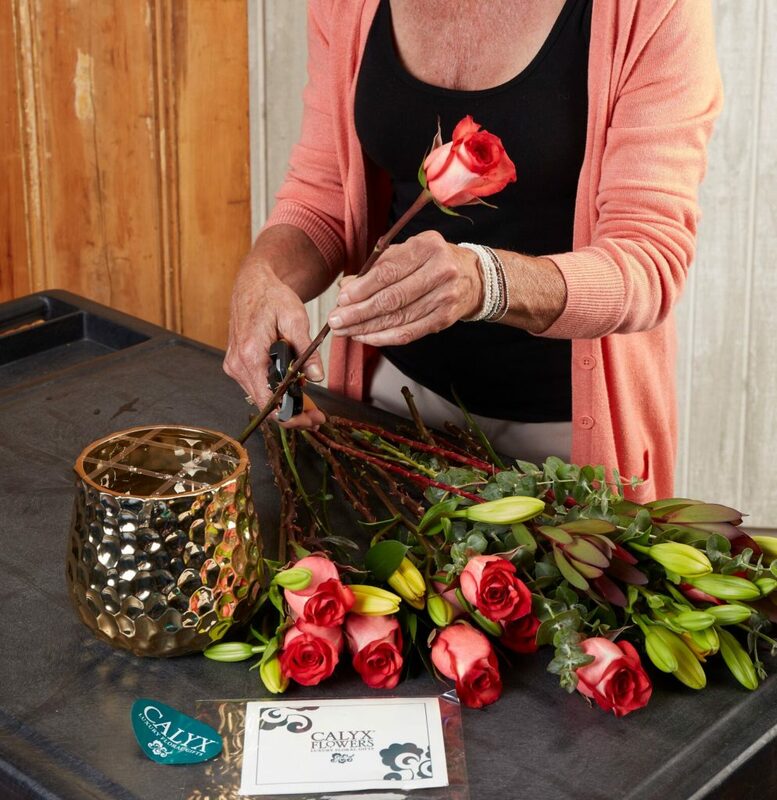 If you’ve ordered roses, remove the “guard petal” – this is the outermost petal left on to protect the bud during shipment. Keep in mind that buds gradually open from the base of the stem and certain flowers bloom more quickly than others. Submerge the stems in fresh, warm water for 5 to 10 minutes to revive any wilted flowers. Enjoy your Calyx bouquet! Find us on Facebook, send us a tweet on Twitter, and tag your photos on Instagram with #calyxflowers. To receive a copy of our catalog, sign up here.